SansOx products in different business applications in Korea have raised a lot of interest in the local market. SansOx’s efforts in the Korean market have been intensive and hopefully the first deals will be signed during the year 2018. As a first step to enter the Korean market, SansOx made an agent agreement with Handuk Ltd., a Korean company specialising in B2B products for Korean pulp & paper and food industries. They will concentrate on both of their customer groups with SansOx products and already, the first contacts with especially paper industry players have been made. 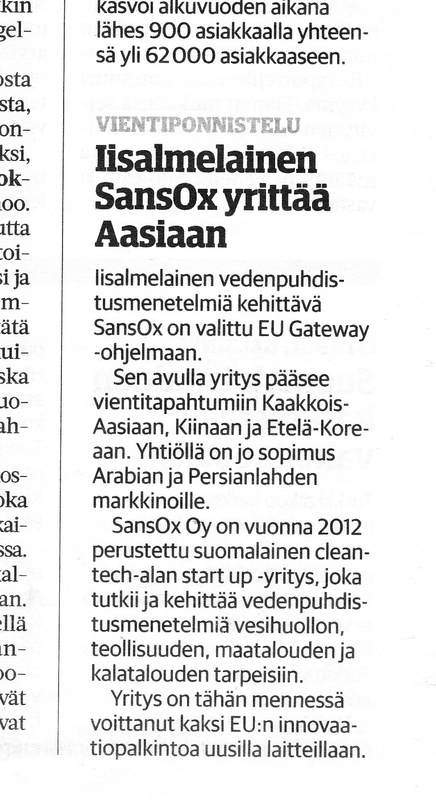 The first contact between companies was made in summer 2017 when SansOx participated in the EU-Gateway program to Korea. The second company that SansOx made a partnership agreement with is MIDNI Co. Ltd. MIDNI is a member of the Korea Water Industry Cluster and concentrates on potable water, natural water conservation and marine business with SansOx products. Especially nature conservation is an area where SansOx’s ClariOx can improve the quality of the natural waters in Korea. 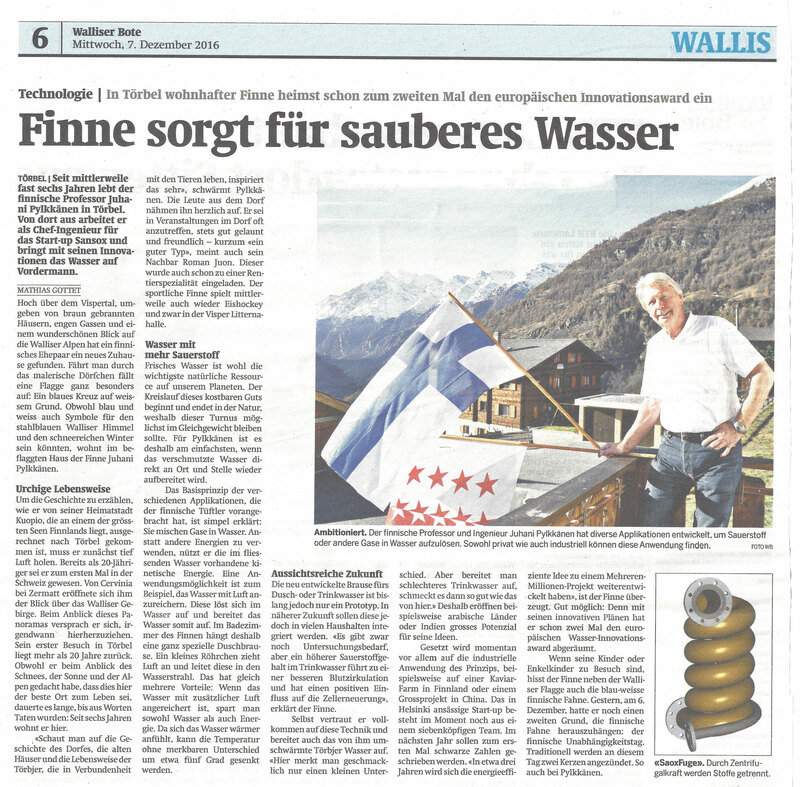 SansOx products will be also integrated to MIDNI’s own solutions that already clean water in several countries.